Here we go: This months "11.11.11" free download song is ready for ...uhm: free download! :-) Thanks to In-Finite 23 for the cool work on their remix of "zom:beat". We will keep the beat beating: The next track (concluding the "11.11.11" free download project) shall come on October, 11th 2012. Der "11.11.11" Gratisdownload Song des Monats ist bereit... gratis downgeloadet zu werden! :-) Vielen Dank an In-Finite 23 für den coolen Remix von "zom:beat". We will keep the beat beating: Der nächste (und das "11.11.11" Gratisdownloadprojekt abschließende) Song soll am 11. Oktober 2012 kommen. The scheduled remix for today is still in re:\production. So the release will be coming soon (hopefully before 11.11.3011). befindet, wird sich das Release etwas verschieben (11.11.3011). Late summer feelings are emphasized with "sick & destroyed (slipped away mix)", this months free "11.11.11" download song. We will keep the beat beating: The next track follows on September, 11th 2012. We will keep the beat beating: Der nächste Song folgt am 11. September 2012. 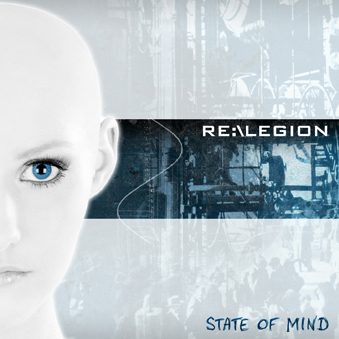 Micha who eventually became "the third legionnaire" mastering "11.11.11" and supporting re:\legion behind his live drum rack rearranged the song "war:dance" with electric guitars. The result is this months free "11.11.11" download song. Enjoy! We will keep the beat beating: The next track follows on August, 11th 2012. 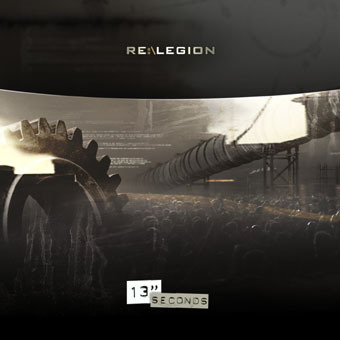 Micha, der aufgrund des Masterings von "11.11.11" und der Unterstützung als Live Drummer längst Re:\Legions "dritter Legionär" geworden ist, arrangierte den Song "war:dance" neu mit elektrischen Gitarren. 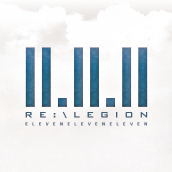 Das Ergebnis ist der "11.11.11" Gratisdownloadsong dieses Monats. Viel Spaß damit! We will keep the beat beating: Der nächste Song folgt am 11. August 2012. And we will keep the beat beating: The next track follows on July, 11th 2012. We will keep the beat beating: Der nächste Song folgt am 11. Juli 2012. "Isaac Junkie - Walking away (Remix by re:\legion)"
This months free "11.11.11" download song: "trance:fusion". We will keep the beat beating: The next song follows on June, 11th 2012. Diesen Monat im Rahmen des "11.11.11" Gratisdownloadprojektes: "trance:fusion"
We will keep the beat beating: Der nächste Song folgt am 11. Juni 2012. "Zom:beat (contaminated mix)", the fifth free "11.11.11" song download, is online. We will keep the beat beating: the next track will be available on May, 11th 2012. Mit "Zom:beat (contaminated mix)" steht nun der fünfte Song des 11.11.11 Downloadprojektes zur Verfügung. We will keep the beat beating: Der nächste Track kommt am 11. Mai 2012. We will keep the beat beating: Der nächste Song soll am 11. April 2012 folgen. We will keep the beat beating: Der nächste Song kommt am 11. März 2012. Mit "Victims (return of the dead mix)" ist nun der zweite Song des "11.11.11" Gratisdownloadprojektes verfügbar. We will keep the beat beating: Der nächste Track folgt am 11. Februar 2012.